Wide temperature range for various test applications. RS-232 interface and Lab Tracer software. 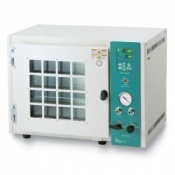 Ideal for separating solvents from solutions without using high temperature drying.